Looking for venues to exhibit your art? How to choose the right one. Artist Jennifer Kahn Barlow’s paintings hang in an alternative setting. Art can be hung anywhere! These days an artist does not have to wait for a call from a famous art gallery to display his or her work. There are a plethora of exhibition opportunities all around: restaurants, art centers, banks, hospitals, places of worship, airports, just to name a few. The highlight of an artist’s career is a solo exhibition, and any of the above places can be your venue. Open space and blank walls all to yourself to highlight and display your artwork. Are there any expenses associated with the space? 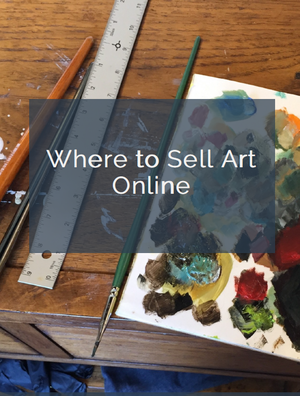 Does the space take a commission on sold artwork? Who is responsible if there is damage to either the artwork or the space? Who holds the insurance? Who is in charge of marketing the exhibition and is there a marketing plan in place? What is the process for artwork purchases? Is the space easily accessible and what are its open hours? How much foot traffic does the space receive? While your exhibition is hanging, what is the artist’s time commitment? Who determines how the exhibition is hung on the walls? Does the artist have a say? Can you sell prints in association with your exhibition? Can the artist hold private functions in the space or give public art demonstrations? How organized is the venue and people working there? Are they flexible, reliable, and pleasant to work with? Is there a reception? If so, who is in charge of putting the reception together and paying for the food and drink? What is the procedure for delivery and pick-up? Is the clientele that frequents the space your target market? Solo exhibitions are a huge honor and so exciting, but they are also a ton of work. The work goes beyond creating the art, into the areas of planning, logistics, and physical transport. Therefore, it is so important that it be worth your while before you commit. Alternative spaces can gain exposure for your art and also provide value for the venue. Make sure you are aware of all the costs. Many times venues either require you to pay for the space upfront, or they take a commission on works sold during the event (and sometimes for several months after the exhibition ends). Other expenses might occur – for example, the reception, exhibition postcards, signage, etc. A signed contract from both parties, the artist and the venue, is a must to make sure every transaction is transparent and both parties are protected from the unforeseen. What is your goal in having a solo exhibition? Is it making more sales, getting your name out there, having more people sign up for your newsletter, or simply the joy of sharing your art with the world? Before committing, make sure the venue will allow you to realize your goals. Jennifer Kahn Barlow is an award-winning artist specializing in painting life’s most delicious moments. She is constantly searching for amazing treats to immortalize in oil on canvas. Jennifer has had numerous, solo exhibitions in the DC area, including, “Capital Palette” at The Mansion at Strathmore. Jennifer works and lives in Potomac, Maryland. I have now hung my work in several alternative spaces and in each one, the venue specified they were not responsible for damage and would provide no insurance coverage (even though their business was covered.) I had to decide if I felt it was worth the risk. I’ve found that the stress of worrying about my work was not worth it, since there were no sales. Lots of great comments, but the general public won’t spend money on art. Brenda, I do agree that it is stressful. I did end up paying for insurance to cover any damages to work so that stress would diminish a bit. Sale are not quite as plentiful in alternative venues but i truly believe that it takes a buyer many times of seeing your name and artwork before they will commit to a purchase and this is just another way to get your name out there. Good luck in your future endeavors.